New Chief Constable Iain Livingstone. Iain Livingstone will take up the role on August 27 on a four-year contract. The former Aberdeen University graduate has been the Deputy Chief Constable Designate since May 2016 and, prior to this, was Deputy Chief Constable for crime and operations. Mr Livingstone’s career has included a stint as a special investigator for the Northern Irish police ombudsman and he was awarded the Queen’s Police Medal in 2015. Susan Deacon, chair of the SPA and its selection panel, said: “I am pleased to announce the appointment of Iain Livingstone as Chief Constable of Police Scotland. “The decision follows an extremely rigorous and robust selection process which has involved a range of external advice and inputs. “Iain Livingstone is an outstanding police leader who has made an exceptional contribution to policing in Scotland. 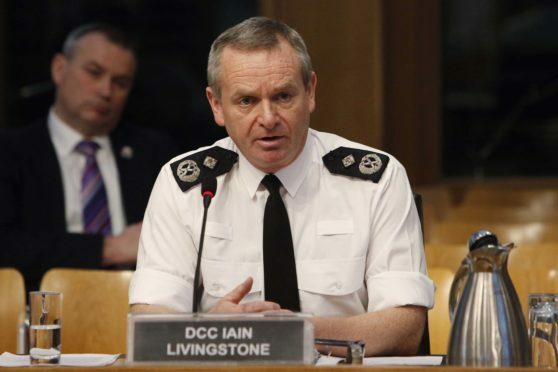 “I am confident that as Chief Constable, working together with a recently strengthened leadership team, he will provide renewed stability, purpose and direction to Police Scotland after a demanding and challenging period. “This is a significant milestone in our continued efforts to strengthen the leadership and governance of policing in Scotland. Mr Livingstone said: “I am extremely proud and humbled to be appointed as Scotland’s next Chief Constable. “It is a great responsibility and opportunity to lead a 22,000 strong team of dedicated and committed professionals, and to harness their ideas and potential in the service of the people of Scotland. “Policing has been my life and the demands on it are developing faster today than at any time in my career.